The Source magazine released their annual Power 30 list of the most powerful players in Hip-Hop culture and The Breakfast Club topped the list of Radio DJs for the sixth consecutive year. With more than 3 million monthly listeners on 80 affiliates nationwide, as well as 3.3 million YouTube subscribers, The Breakfast Club led the list of radio DJs with power, who “not only mix the music but also command the streets, represent their hoods, break new artists, deliver news and information, reign at the top of the ratings and are social media influencers.” The Power 30 issue of The Source is on stands now. 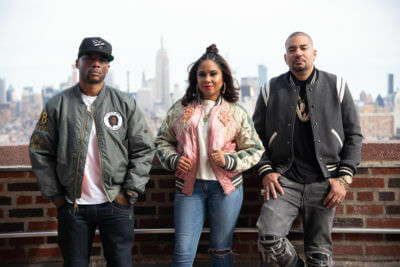 The Breakfast Club is a four and a half hour morning show featuring DJ Envy, Angela Yee and Charlamagne Tha God’s unrivaled interviews with celebrities and recording artists. From megastars like Kevin Hart, Justin Timberlake, Jennifer Lopez and Arnold Schwarzenegger to rap icons such as Jay-Z, Kanye West and Nicki Minaj, every guest visiting The Breakfast Club is grilled with their signature blend of honesty, wit and humor. The results are the best interviews to be found on radio and digital.